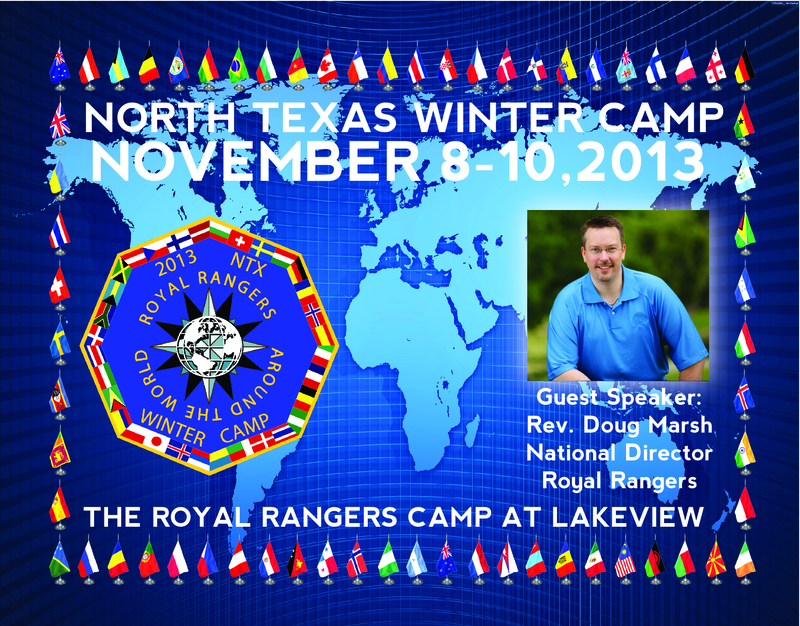 For the annual Winter Camp, the theme for 2013 was Royal Rangers Around The World, a missions-inspired theme to help provide focus and support for helping Royal Rangers expand around the world. 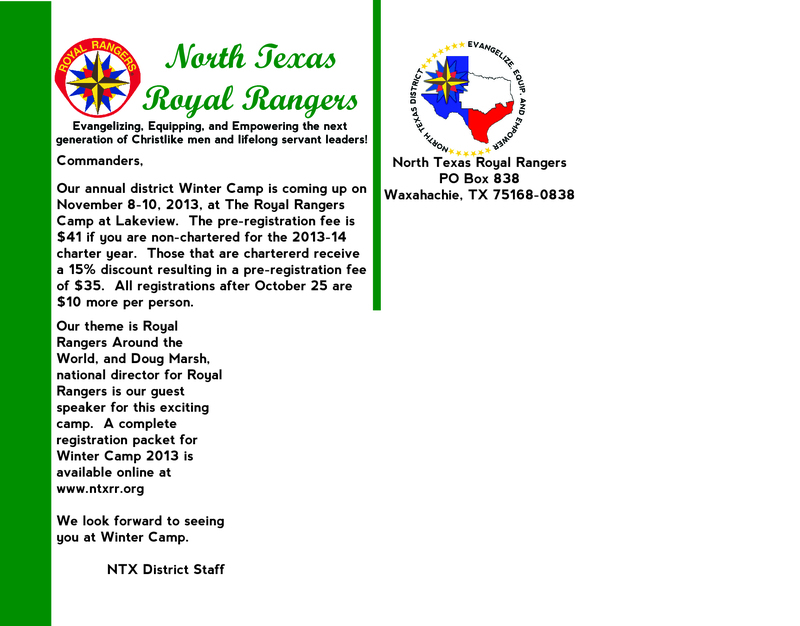 As inspiration for the front, I used flags from the various countries that has Royal Rangers as the border. A map of the world is in the background and in the foreground was the artwork for the patch for the camp, the guest speaker, and event details.